Ray has ridden, trained, bred, showed, and raced horses most of his life. He grew up exploring and living off southern Colorado's Wet Mountains range when it was still isolated and intact. Ray is the full-time operations manager at High Plains. Lynn is the historian, anthropology student, chronicler, and administra-tor at High Plains. She brings the outdoors in and launches her visions in the front yard and beyond. 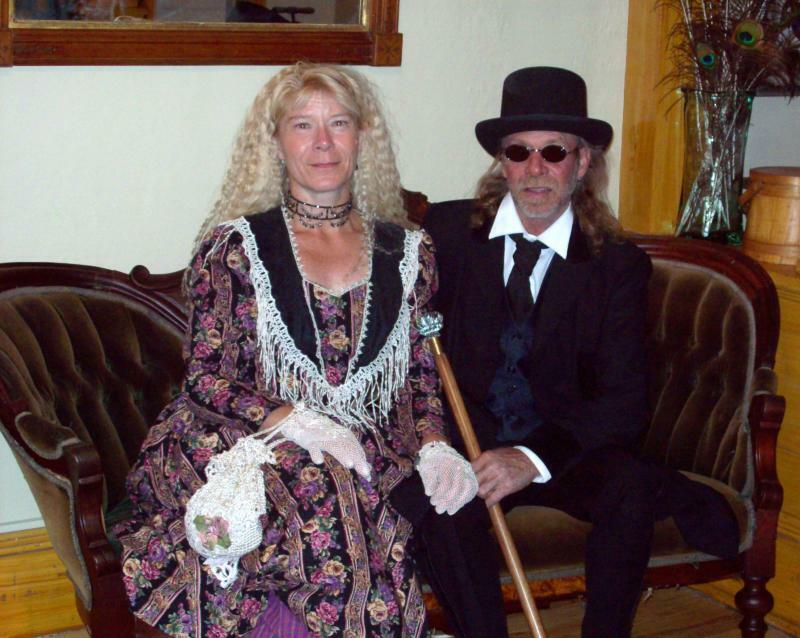 Together, Ray and Lynn apply their talent and energy honing High Plains into the traditional western horse ranch, alpaca ranch, and 19th century living history oasis they cherish and share with their customers, clients, and visitors. Page through our Photo Album for a quick visual. Do read the photo captions! Visit our Blog to follow current events at High Plains and for Trading Post updates.